New Delhi : Like every year, Halloween on October 31 is all set to create a fun-filled horror moments. The day unfolds festivities and fashion of people who just don't hold back on usual costumes. This time, 'human skin boots' has made a brand new entry for fashionistas. A fashion brand has become popular by announcing the release of new boots that look like human skin. 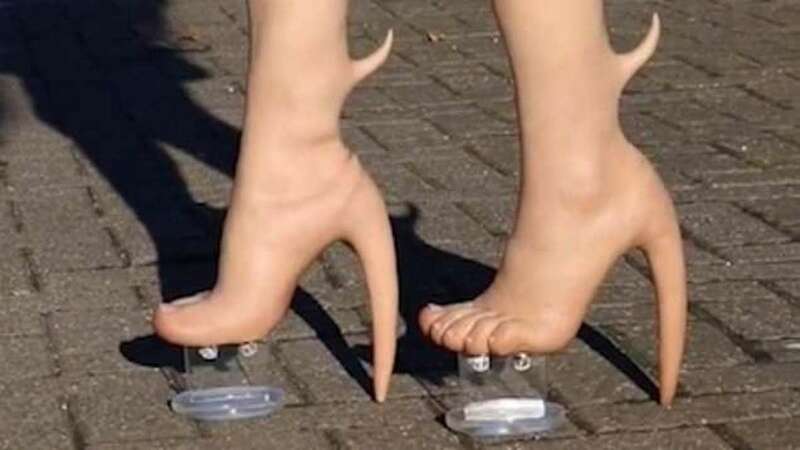 Canadian design duo Matieres Fecales is selling boots that come with “individual toes, devil horns and heels in the shape of bones, all in a flesh tone that transforms the wearer’s legs into something otherworldly”, the Daily Mail says. So, if you are interested, you can get a pair at exchange of $10,000 (£5,931). The boots are the brand’s debut in footwear, the site adds, noting that the design has been “dividing the internet”, with commenters on the brand’s Instagram branding them everything from “disturbing” to a “work of art”. Sources confirmed that the duo worked with the artist Sarah Sitkin, who specialises in creating replicas of bodies and body parts.